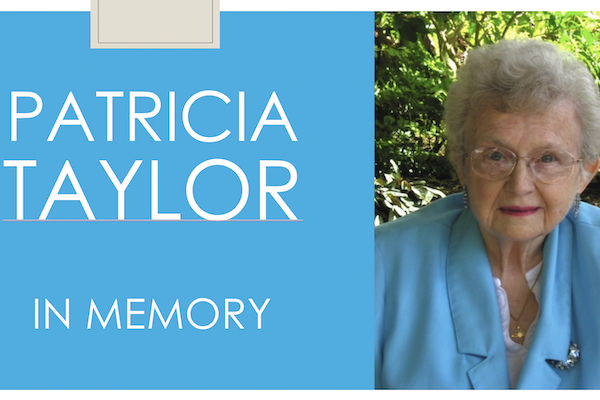 Services for Patricia Taylor, former Chairperson of Medical Technology, are planned on Friday, May 24 10:00 a.m. at the First Presbyterian, Koolau Golf Resort. Taylor died on March 30 at the age of 83. Pat came to the University of Hawaii in 1967. She and Louise Wulff (the first Medical Technologist Chairperson) built a solid curriculum at Manoa. Teamed up with local labs, they ensured that students received excellent education and training. Gradually, the summer clerkship sites expanded from Honolulu to the Hawaii Island, Maui, Kauai, Molokai, Saipan and Tri-City, California. Pat took full advantage of new IT and communications technology that became available in the 1980s: PECESAT, HITS video conferencing, electronic field trips, and of course, email. Always active with professional organizations, Pat was elected to membership in the national Alpha Mu Tau Medical Technology Honor Society. 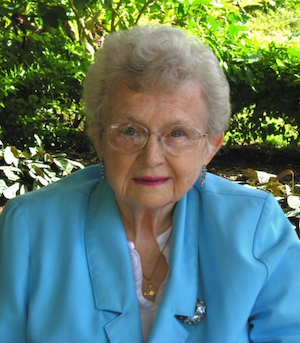 She served on the Board of Trustees for the Blood Bank of Hawaii for many years. So, naturally, almost all of Hawaii’s Medical Technologists today have in one way or another been touched by Pat. She retired in July 2004 after 36 years of service at the University. Everyone remembers how set Pat can be in her ways, perhaps trait of a good Blood Banker. Pat gave Yvonne Yogi a “big red circled F” for failing to follow directions when working up an ABO-discrepant sample. But after realizing that Yvonne was already familiar with the proper follow up procedure (from work experience) that had not yet been covered in class, and that she did request for special reagents which were not available that day, Pat asked her to help her classmates who were not familiar with the procedure. Now a master blood banker herself, Yvonne recalls her initial interview with Pat at the time of her admission. For some reason, Pat said “you would NEVER be a med tech, no less a Blood Banker.” Ironic? Maybe that was her challenge. After her retirement, according to Susan Pang, Pat travelled to Antarctica in 2005, New Zealand and Australia in 2006, Holland America Panama Canal Cruise in 2007, and went on a Church sponsored Medical Mission to rural villages of Thailand in early 2008. Then, she suffered a massive stroke in July 2008 that affected her entire right side as well as her speech center. She spent the next 10+ years at a Nursing Facility. There, she loved to watch football and basketball, Jeopardy and Wheel of Fortune. She loved to do the 750-piece jigsaw puzzles and play Gin Rummy. She loved York Mints, Chocolate Chip cookies and Coca Cola. She went to Church every Sunday except when feeling sick and loved to greet her friends. Susan tirelessly cared for Pat over these difficult years. She will take Pat back to her hometown in Indiana. We will miss Pat. Her smiling picture continues to hang on the wall in our Departmental office in the UH Manoa Biomed Building.